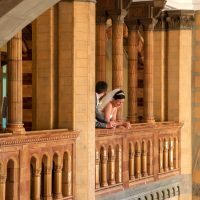 Steeped in history and filled with curiosities the Victoria Gallery & Museum is an exciting and unique setting for weddings, civil ceremonies and partnerships. 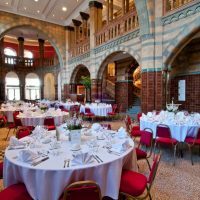 The highly decorative Grade II listed ‘redbrick’ building is a fine example of Victorian architecture and provides an elegant backdrop for your celebrations. 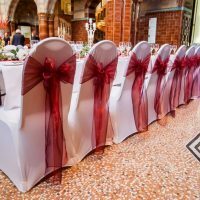 The dedicated and experienced wedding team are on hand to help you from your initial enquiry right through to your special day. 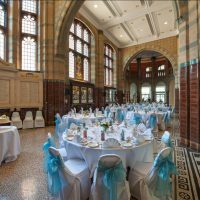 With three incredibly striking spaces to choose from, the Victoria Gallery building offers exceptional versatility. Accommodating up to 220 ceremony guests. 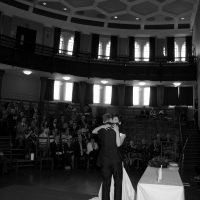 Declare your commitment to each other in the magnificent Victorian style tiered theatre. 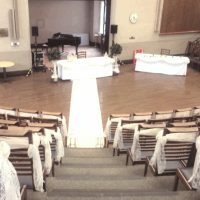 This heritage setting has been updated with modern audio visual systems including a large projection screen, adjustable lighting and PA set up. 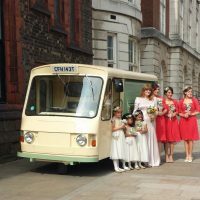 Catering for up to 80 people for dinner or up to 150 reception guests. 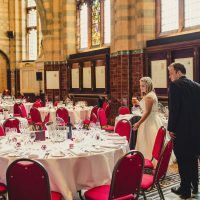 For couples who want a unique and fascinating setting for their celebrations, the Tate Hall Museum provides a quirky and memorable backdrop for up to 100 reception guests. 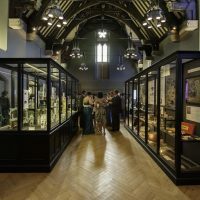 Enjoy a glass of bubbly under the sweeping vaulted ceiling and share canapés whilst enjoying the exhibition of curiosities from the museums’ 120-year history. 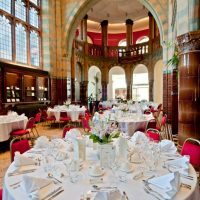 For up to 100 dining guests or 150 reception guests, both with a space for a dance floor. 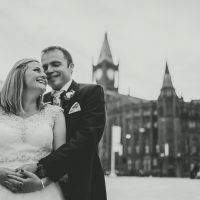 The Grand Entrance Hall is perfect for larger ceremonies and receptions and boasts iconic original features including ornate stone work, high ceilings, a wrap-around balcony and exquisite gothic fireplace. 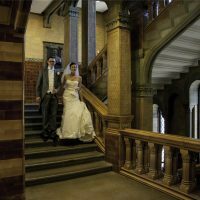 Dance the night away in a cultured and historic setting that will provide treasured memories to last a lifetime. Our dedicated in-house catering team uses the freshest, locally sourced and seasonal produce to create an exciting menu that tastes every bit as good as it looks. 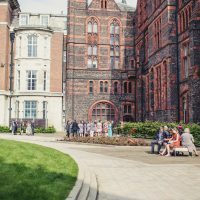 Make the most of the special day and enjoy a stay in the studio and penthouse apartments on campus. 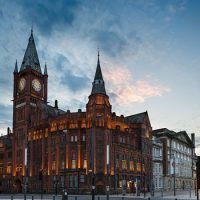 Self-catering grants you a comfortable base from which to explore the local sights and enjoy Liverpool’s fine cuisine.v During the summer months we also have executive single and double en-suite bedrooms, located within very close proximity of the Victoria Gallery & Museum. Ask our team for further details.